Step2 Basketball Set Just $34.84! Down From $60! FREE Shipping! At Amazon, you can score this Step2 Basketball Set for just $34.84 down from $59.99 PLUS FREE shipping! 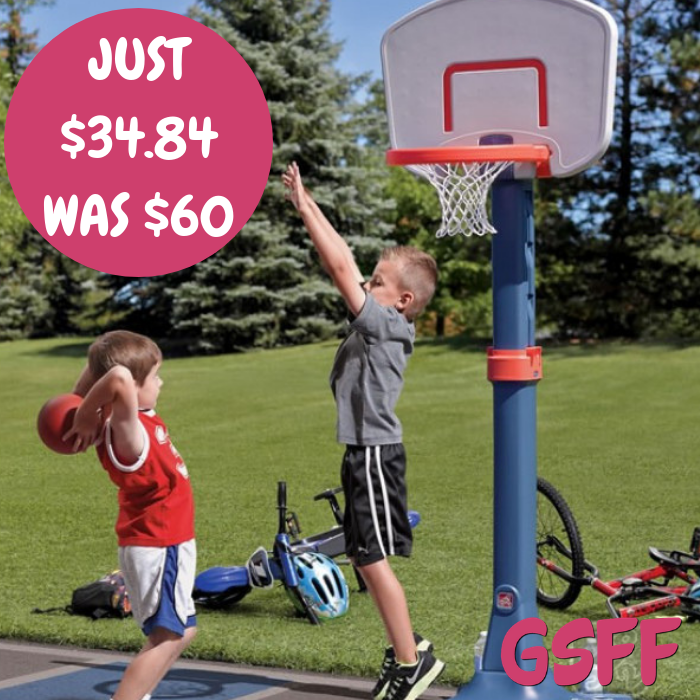 Shootin’ Hoops Pro Basketball set by Step2 is perfect for growing kids. With an adjustable rim it provides years of play. The rim adjusts from 48″ (4 feet) to 72″ (6 feet). There are three adjustable positions, four feet, five feet, and six feet high. Shootin’ hoops features a large backboard and break-away rim with authentic woven net.